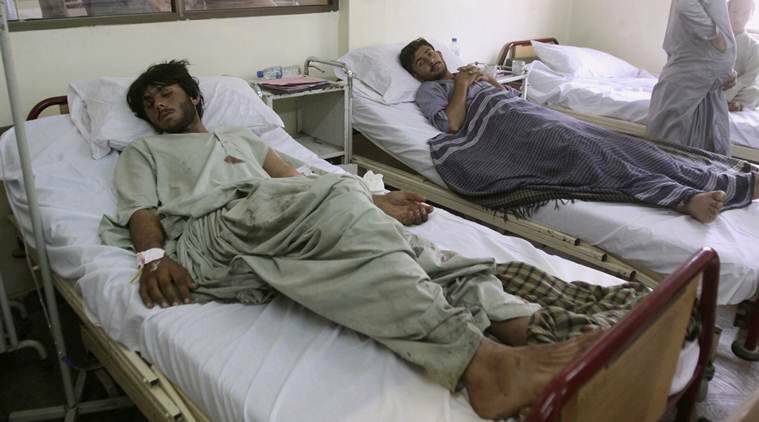 At least 135 people were killed and over 200 others injured on Friday in a powerful suicide blast and a targeted attack on separate election rallies in Balochistan and Khyber Pakhtunkhwa provinces. An independent candidate survived an assassination bid today in northwest Pakistan, police said, a day after 135 people were killed in attacks on poll rallies in the country. Malik Riaz, an independent candidate from PK 93 constituency Lakki Marwat district of Khyber Pakhtunkhwa province, was fired upon allegedly by workers of the rival Muttahida Majlis-e-Amal (MMA) party when he was leading an election convoy towards the venue of a public meeting. Riaz remained unhurt and safe, police said. An FIR has been registered in the Asmatullah Shaheed police station Sarai-e-Naurang against the accused, including MMA candidate Malik Anwar Hayat, they said. After the incident, Riaz in a statement alleged that Hayat and his supporters fired at his convoy as the MMA candidate wanted him to withdraw from the contest. Hayat also demanded Rs 50,000 extortion money from me, he further alleged. At least 135 people, including Balochistan Awami Party leader Nawabzada Siraj Raisani, were killed and over 200 others injured yesterday in a powerful suicide blast and a targeted attack on separate election rallies in Balochistan and Khyber Pakhtunkhwa provinces.